Babies are learning about the world and themselves. They need things to look at, things to listen to, and things to feel. New babies do NOT need many toys. Babies can look at hanging mobiles, pictures, and toys. They can also look at your face and your smile. Babies like to listen to music and rattles. They can also listen to your voice, as you sing and talk to them. Babies can feel soft toys and pieces of cloth. They also like to feel the warmth of your body as you hold them close. They like to learn about their own bodies as you pat and stroke them. People who love and look after them are the best “toys” a baby can have. 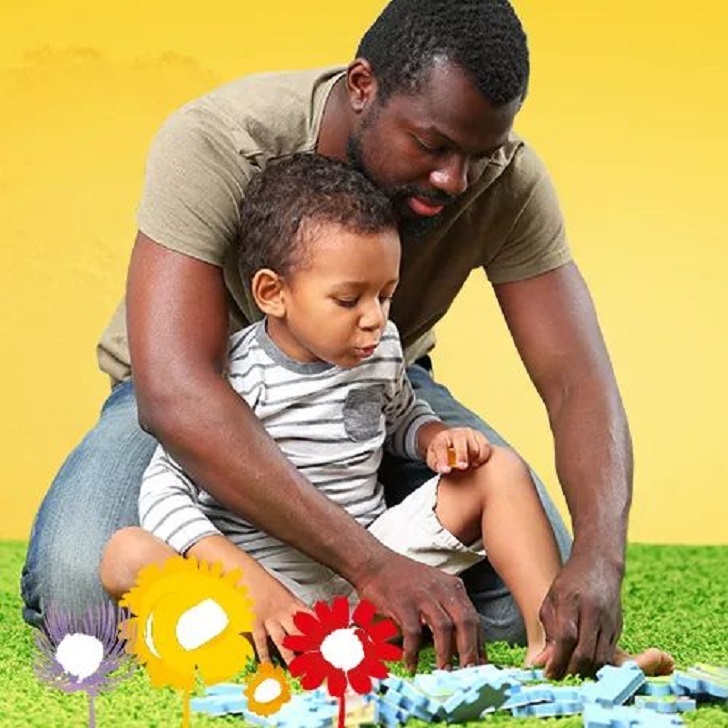 When you do buy toys, be sure that they are safe and correct for your baby’s age and size. They should have no parts small enough to swallow, no pieces that can come off, no strings long enough to choke or tangle, and no strong smells. Do a careful check of all new toys before you give them to your baby? Check often for wear or damage. Here is what you should have: • 3 or 4 fitted crib sheets • Waterproof mattress cover • 2 baby blankets or quilts (for the crib) • 4 to 6 receiving blankets (to wrap the baby in) More advice on buying a safe crib see: Safe sleep guide for infants. You may buy your baby new things, or you may choose to have second-hand things from a store that sells them, or from people you know. Check to be sure that they are safe, well made, and easy to keep clean. The clothes your baby needs depends on the time of year and the way you will do laundry. If you have your own washer and dryer and can do laundry each day, you will need fewer clothes than if you have to go out to do your wash. Be sure to wash all clothing and cloth diapers before your baby wears them. Try to avoid laundry powders and fabric softeners such as Bounce™ or Downey™. They may cause a rash on your baby’s skin. • 4 to 6 undershirts • 6 sleepers or nightgowns • 1 sweater • 1 snowsuit (if your baby is born in winter) • 1 hat • Socks or booties Babies grow quickly. Do not buy too many clothes in very small sizes. • Soft and comfortable. Cotton works well. • Easy to wash using a washing machine and dryer. Avoid clothes that need to be washed by hand. • Easy to get on and off. Baby clothes should open up in the front and have large armholes. Sleepers and nighties with snaps and zippers are easier to handle than those with ribbons or ties. • Loose clothing allows air to circulate. Your baby is less likely to get a skin rash. When you buy sleepers, make sure that the part where the feet go is big enough for baby's toes. You can choose whether to use cloth or disposable diapers.